Bolivian Sauces and Dressings. Bolivian Food and Recipes. 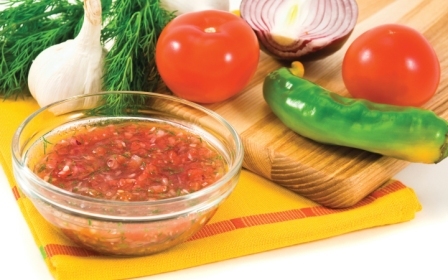 Bolivian sauces range from raw blended or chopped ingredients to cooked sauces. Salad dressings aren't used much on salads. Most people prefer to simply use oil and vinegar with salt, pepper or mayo on their raw vegetables. Instead, dressings are normally used on hot foods. It's not uncommon to see Bolivian pouring dressings onto hot dogs or drizzling them over steak and other meats. Of all Bolivian sauces and dressings, none beats "llajua" which is very hot and spicy and is used on everything from meat to french fries to soups to salads, sandwiches and more. In fact, some people just spread it on bread like jam. It has also crossed regions. In eastern Bolivia spicy foods are not common; however, more and more people are using llajua now.